Nothing like a beautiful fresh salad packed with wonderful fresh ingredients to fully nourished your body. I feel in love with these flavor combos and find I love to make this dish over and over again. There is something truly magical about vegetables. I mean look at that artichoke right?! I am always in awe of how nature created such magnificent art. 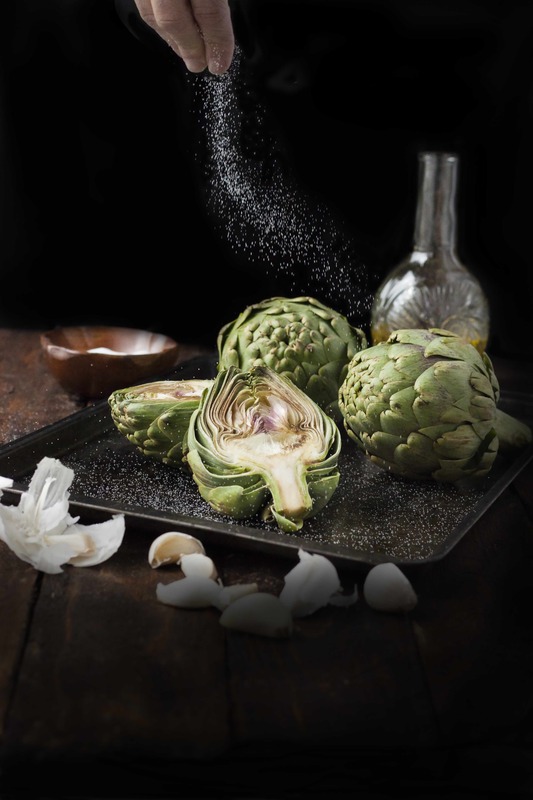 From a nutritional standpoint artichokes should be on your plate, however, you can get them. They are great for supporting your liver. (Daily liver support will help deal with any extra environmental toxins. If you want to do a full liver cleanse I will be sharing a series on this soon). Help support a healthy digestion with their extra dietary fiber. Can possibly help reduce bad LDL blood cholesterol. Because of its higher mineral content, it is great for helping support bone health. 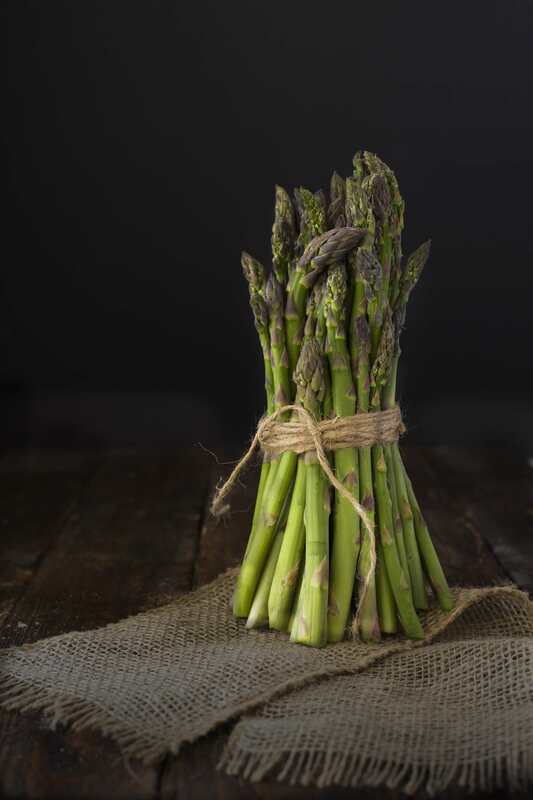 The quinoa in this salad provides a complete plant protein and the sprinkled almonds add in your calcium and vitamin E.
1 handful of asparagus cut into 1-inch pieces. 10 leaves of butter lettuce. Bring quinoa water, salt, and pepper to boil in a small saucepan. Then let simmer on low for 20 minutes with the lid on. While quinoa is cooking make the dressing. Put oil, water, orange juice, balsamic, salt, pepper, basil, powdered onion and garlic in your blender. Blend for 1 min on high. Sauté asparagus in a pan with 1/2 tsp fresh minced garlic and set aside. Cut up oranges into bite-size pieces. Rinse butter lettuce and artichokes. 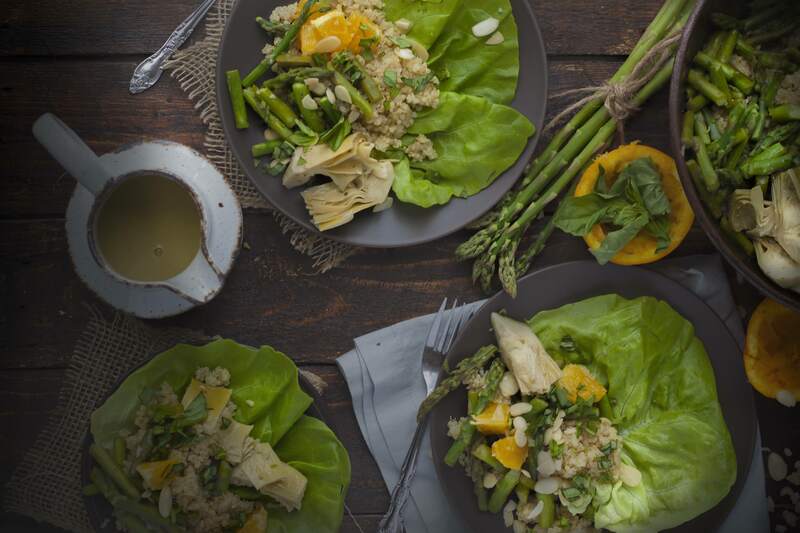 To assemble put lettuce down first top with quinoa, artichokes, oranges, asparagus and sprinkle with almonds and extra diced basil. Drizzle dressing over. To serve cold cook asparagus and quinoa beforehand and let cool before assembling.